The CORE ESSENCE is what is revealed after a woman transcends the dark night of the soul. Her core essence is revealed and she becomes more aware of who she is. Astrology and mythology was part of the inspiration for this series. Each planet represents a specific energy or aspect of personality that may be discovered. The goddess women represent the idea of self mastery. Based in Nashville, TN, Amanda Downs is a self-taught visual artist who began her artistic journey march of 2017. She is inspired by women, nature, music, and literature. 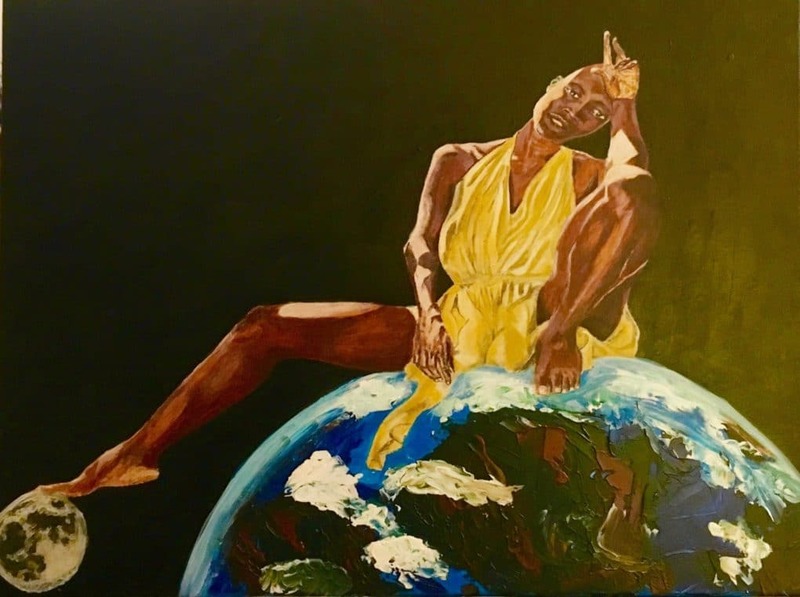 She hopes to provide diverse representation of black women while also capturing the common trait of strength and beauty. Her goal is to create positive images of black women that are uplifting and inspiring. Capturing the beauty of confidence. She uses acrylic, water color paints, paper and canvas mediums. She started her practice because she wants to express her passion for her community and creating a legacy that promotes positivity and courage to chase your dreams.